Pro Igual has joined numerous NGOs and individuals across Europe forming part in No Hate Speech Movement. The campaign is against hate speech online in all its forms, including cyber-bullying and cyber-hate. The campaign is not designed to limit freedom of expression online. Neither is it about everyone being nice to each other online. 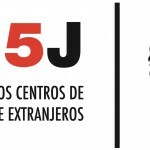 The campaign is based upon human rights education, youth participation and media literacy. Through participation in the Movement Pro Igual hopes to raise awareness of extreme intolerance experienced by members of our target groups – especially minorities and foreigners – and stop and prevent hate crimes that unfortunately have become a fact of life in Spain. To read more, please visit here. The Network´s mission is problem-solving of difficult cases through collective action and contribution to improvements in European policy and legislation. It is a not-for-profit service and is comprised of existing not-for-profit organizations and/or legal clinics on a national level which are able to assist citizens in upholding their European rights before the national authorities. 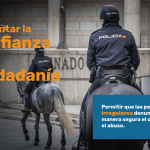 Pro Igual hopes through participation in the Network to provide better assistance to our target groups, including foreigners, minorities and others at risk of exclusion and discrimination, with asserting their fundamental rights vis-a-vis Spanish public authorities.